Choosing a third-party logistics (3PL) company can help you manage your operations and save you time as you focus on other important areas of your business. Managing inventory, shipping, receiving, picking, packing, and other areas of the warehousing process can be time-consuming and stressful for small- to medium-sized businesses. Outsourcing this process provides brands with many benefits but there are some key things to consider about how to choose a 3PL provider. Here are some of the most important do’s and don’ts when choosing a 3PL partner. The location of your 3PL partner should suit your overall distribution plan and be closer to your high consumption area. The closer you are to these target areas the easier it will be for you to reach out to them and create value for your customers. It also will improve how fast you can ship your products to your customers. Develop a set of key performance indicators (KPIs). They should include exact times, quantities, and other numerical measurements to keep everyone in the process on the same page. This will help everyone understand what is required to achieve acceptable on-time, accurate, and affordable performance levels. This can be set up through logs, timestamps, or barcode scanning. Consider your future when choosing a 3PL provider. If you expect your business to grow you should work with the team that can handle it. If you predict massive order volume increases, can your 3PL partner handle it? Do they have the warehouse space and manpower necessary? Do they have online systems in place to keep orders organized and get things out the door as efficiently as possible? Your warehouse partner should not fall short of financial stability and be unable to support your business. Financial stability is extremely important when choosing a 3PL provider, and you can find this out by checking their track record with other customers. Does your prospective 3PL partner have a good warehouse management system? Is their material handling automated? Do they have the technology necessary to handle accurate warehousing processes? Does their system provide accurate inventory reports? Can they provide live inventory checks? It is important to work with a 3PL partner that uses the latest technology and equipment. This will make them more beneficial to you as a business partner. By meeting your 3PL partner you will get a feel for how the company manages itself and its workers. Tour the facilities, talk to management about how employees are incentivized, and get a feel for their level of honesty, trustworthiness, and sincerity. Are they passionate about the business? Is customer service a priority? Ask these questions to get a better insight into how your business and products will be handled. 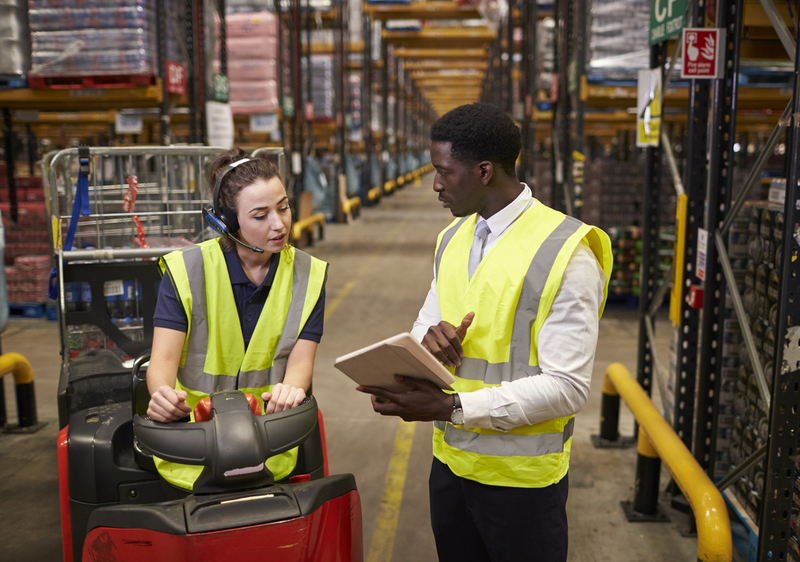 Be sure to check the hiring and training policies of your warehouse and provider, and take a look at their safety policies and procedures. This will help you understand how your goods will be handled in the warehouse. The safety policies should be applied to employees, managers, warehouse staff, and the consignments. Take a tour around the warehouse and look for fire safety provisions, warning signs and labels, and observe how staff are obeying those safety procedures. Limit your search to a maximum of three 3PL partners. If you consider too many options you may miss out on the little details that you need to check and focus on before making a final decision. Keeping a short list can help you deeply evaluate each prospective partner. Be careful not to choose a 3PL provider solely because of their competitive prices. Although this is an important 3PL selection criteria to consider, you should not compromise quality. If the 3PL provider does not have successful and quality processes in place, your business will suffer in the end. If the service levels waiver at all during your time with the 3PL provider you should be able to leave. This is why it is important not to fall into the long-term contract trap. If you are stuck with a company that can’t accommodate your growth, you will be sent back. More and more e-commerce fulfillment companies are moving to month-to-month contracts which may work better for you. Before settling on the first good 3PL partner you come across, consider comparing performance reports for all of your potential 3PL partners based on the same metrics. You can show these to the 3PL provider you want to move forward with, as an incentive for them to improve what they’re doing or keep up the good work. Did you know that many of the country’s most successful businesses use measurement data from their 3PL providers to decide the winners of annual awards? This gives inspiration and motivation to the 3PL providers who win the awards. Positive reinforcement goes a long way so take a look at some providers who have received awards for their successful business. Taking the previous do’s and don’ts into consideration before choosing your 3PL provider will help you make the best decision to improve your business processes. Managing the operations of your business may be too great of a task to handle alone, so outsourcing to a reputable and successful team will free you to work on other important areas of your business. At APS Fulfillment, Inc. our professionals provide our clients solutions to meet their warehouse organization needs. Our services include e-commerce fulfillment, product fulfillment, direct mail marketing, fulfilment solutions, and fulfillment markets. We also use the best quality software systems to manage your warehouse, so if you’re looking for the right company, look no further than APS Fulfillment, Inc. You can contact us by e-mail at [email protected] or by phone at (954) 582-7450. What Is the Difference between a 3PL and Freight Forwarding?